Cannondale’s Synapse is a bike that lends itself to full-gas, full-day exploits. It is impressively light, with a new frame that is far lighter than any of its predecessors. It has a stiffness that even the pros would be impressed with and as result allows you to lay down the power and rail corners like you wouldn’t believe! 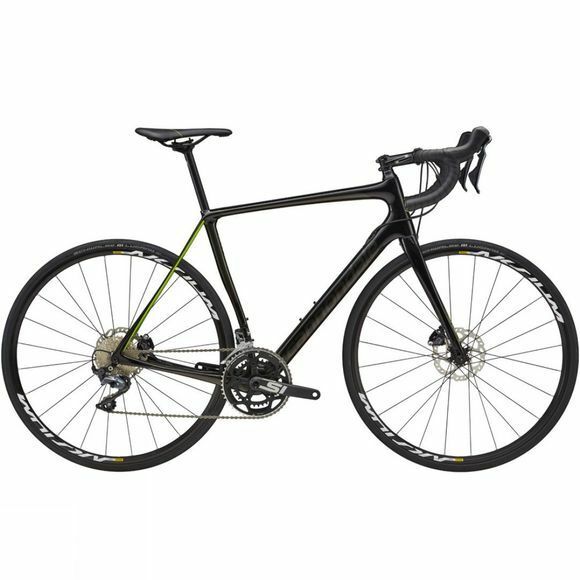 But, with the addition of Cannondale’s Save Micro-Suspension, the intelligent frame is still able to tune out some of the choppiness of the road for a comfortable all day ride quality. The Geometry of the Synapse is performance focused for a fast and elegant ride, but Cannondale have chosen to give it a slightly more upright position to keep it comfortable on longer days in the saddle. The New Synapse features Shimano Ultegra R8020 disc brakes, which deliver incredible braking power in all weather and with the ability to take wheels as big as 32mm the Synapse is ready for any road, anywhere.